First Choice Business Capital specializes in providing fast and hassle-free bad credit business loans New York, NY for all kinds of businesses with bad credit. At First Choice, we understand how stressful and frustrating it can be if you have a poor credit score and you’ve been getting declined from traditional banks for financing. That’s why we have dedicated ourselves to making business-funding options available to all businesses regardless of a bad credit history. Recent studies show, a whopping 70% of businesses doesn’t qualify for a bank loan. There are many reasons why so many businesses with bad credit get declined for a bank loan. Reasons for declined loans could be as simple as a company applying for a business loan with poor credit. A company could also have tax liens or judgments against them. Businesses with bad credit typically give up after they are declined for a bank loan. 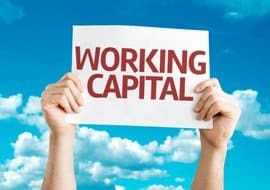 Working capital is at the heart of every business. Without proper access to cash most businesses couldn’t keep their doors open for very long. Since the economic collapse of 2008, it has become extremely difficult for profitable businesses to get a bank loan. New regulations have cut access to capital for many businesses. This applies for small and medium size companies with 50 or less employees. This dilemma has opened the doors for new type of loan options from alternative lenders. Business cash advance and high-risk lenders such as First Choice Business Capital are readily available to provide you with a quick no-nonsense financing approach and getting you quick approvals for your business loan. So despite of what you may have heard, it is absolutely true and not just a myth that businesses with bad credit can easily get the financing they need by leveraging the various alternative-lending options available to them. This types of alternative lending is often referred to as a merchant cash advance, also known as (MCA). These poor credit business loans are great for the majority of businesses that just can’t get traditional financing due to their bad credit history. No collateral is needed to qualify for a business cash advance, which makes it even easier to qualify for a loan if you’re a business with bad credit. We provide custom business financing in all types of industries. The only criteria needed is that the business has been operating for at least 3 months and you’re depositing at least 8-10 thousand dollars consistently over the last 3 months. There are many advantages to applying for a merchant cash advance. One of the biggest perks about these types of loans is that as mentioned previously, it offers incredibly fast funding compared to that of a traditional bank. Most loans are approved in a day. Over 90% of all applications get a loan approval. Plus, loans are funded within 48-96 hrs. after a loan approval. The process for a loan approval is very simple. A one page simple application is all that is needed. Also, the last 6 months of your business bank statements. With this information, an approval can be granted very quickly. When a business needs a bad credit loan fast, a merchant cash advance is the ideal type of business loan they should look for. Merchant cash advances are short-term business loans. They typically run from 4-18 months and these loans have a fixed cost of capital. The payments are made daily or weekly. Daily payment loans are Monday – Friday. MCA loans have between 20-22 daily payments a month. What Type of Businesses Can We Work With? Short-term business loans bad credit is available to a wide range of businesses. Small, medium and large business qualify for unsecured short-term loans. There is a wide range of businesses that merchant cash advance companies like to work with. Some of the most common niches include:Construction, Electrical contractors, Painting, Carpentry, Roofing, Plumbing, HVAC, Masonry & Stonework, Driveway & Parking Pavement, Water Well Drilling, Wrecking & Demolitions, General Building Contractors, Trucking, Heavy Construction, Moving Company, Restaurants/Bars, Gasoline service stations, Interior Decorators, Rigging and Scaffolding, Automotive/Mechanic Repair Shops, Auto Body repair and Painting, Tire Shops, Beauty Shops, Pest Control and Home Health Services. These are just a few industries that are eligible for business loans with bad credit. We can work with any business that has bad credit and meets our minimum criteria. What States Do We Work With? When a business with bad credit is looking for a merchant cash advance loan or bad credit small business loans, it is best to deal with a reputable broker. You should be careful, as navigating through all the different lending institutions can be a little bit tricky. Many times borrowers are inadvertently declined based on providing the wrong information to the lenders. A good breakage house can get businesses funded by thoroughly understanding the underwriting process of the different lenders available to them. You should also know that some brokerage houses could even syndicate deals, which can increase the total approval amounts. Also, a good broker should stop your deal getting submitted to multiple lenders. Deals that are shopped to multiple lenders can actually hurt the borrower’s credit score, which is why it is imperative that you work with an alternative lending company like First Choice Business Capital for your business loans when you’re credit rating is less than stellar. There is no need to wait for your credit score to improve to apply for a business loan. You don’t have to let any business opportunity pass you by, and don’t have to give up your personal belongings or property to use as collateral for a loan. Fill out the short online application or call us today!